Every time a member or someone related to the Pakatan is arrested by the authorities for a wrongdoing, Pakatan would be quick to accuse the act as a politically-motivated move. Perception is everything for Pakatan, even if it means flogging a dead horse. From recycling of issues to spinning crimes committed into acts of chivalry. 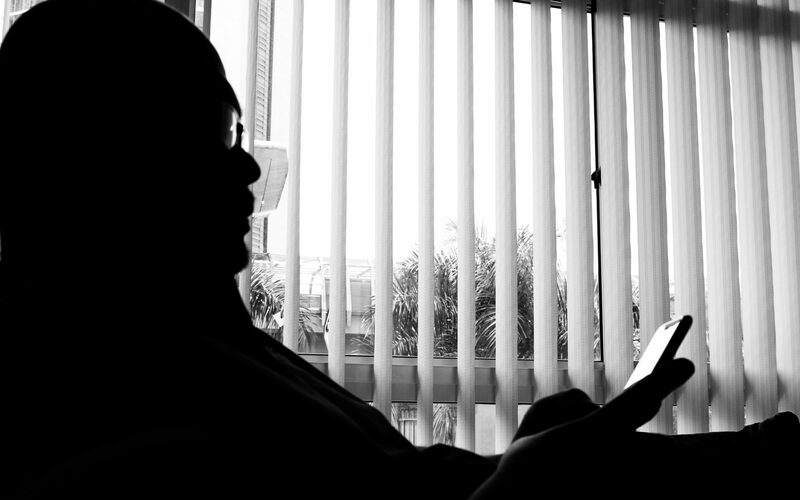 When Teoh Beng Hock died while in a MACC building, it was the BN’s fault although Beng Hock was being interviewed for things DAP office-holders were being investigated for. No matter that the BN loses out for not getting juicy stories of Pakatan corruption with the death of Beng Hock, BN is responsible although it sounds very illogical. When Tokong Lim Guan Eng and when his henchman Phee Boon Poh were hauled up, again BN got the blame for politically-motivated acts. The same goes to the time the MACC raided Selangor’s Menteri Besar Incorporated for its fishy deals with UNISEL, BN was blamed. It seems that the Pakatan is above the law. They get away with murder by blaming the BN for their failures. When Pulau Pinang gets inundated by countless flash floods, the BN gets blamed. When it is pointed that they should not blame the BN after being in power for two terms, they put the blame on God. Yesterday, it was announced that the brother of a prominent Pakatan Member of Parliament was arrested together with two other staff of the said MP’s office for graft, the MP was quick to say that the arrests are politically-motivated. This is the same MP who was recently implied by rabbit-toothed MP Pony Tua for being submissive to thugs. 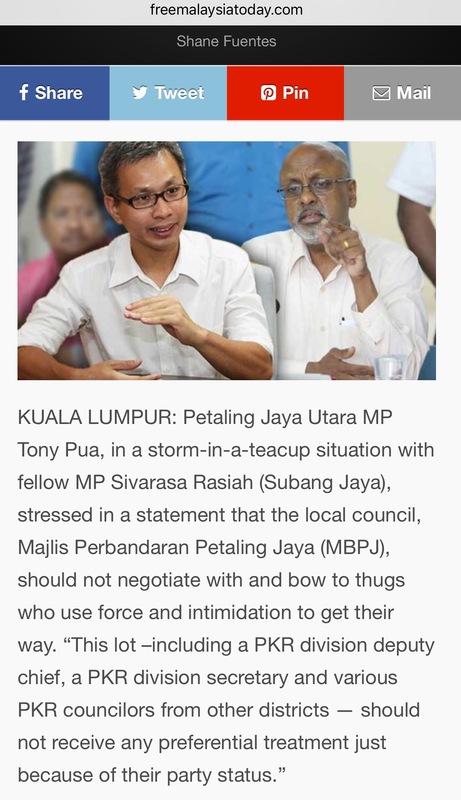 Even someone implied by a fellow Pakatan member as allowing thugs to flourish blames the MACC for the wrongdoings of his own brother and staff members. Chief Commissioner of the MACC Tan Sri Dzulkifli Ahmad chided the MP, Sivarasa Rasiah, for making such claims. He said the action against the three individuals was conducted professionally in line with the efforts of the commission to rid the country of corruption. “We stress that the arrest of the individuals is not related to politics. We are doing it professionally and not due to politics as the MACC has no time to be involved in politics,” he said to reporters in Terengganu yesterday. When things don’t go their way, blame others. 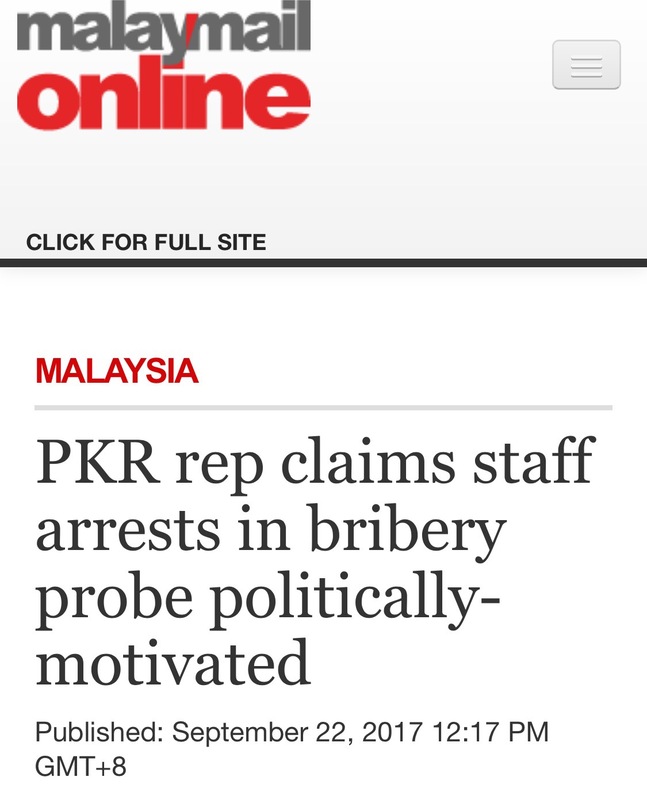 When it is members of the BN that get arrested, they would be quick to announce that the BN is corrupted. When Najib Razak was investigated for the 1MDB fiasco, Pakatan was quick to ask Najib Razak to go on leave. No such calls have been made even when Pakatan criminals were being charged or found guilty on countless times by the courts. Such is the impish behaviour of the goons from Pakatan. Yet, unbelievable as it may seem, there still are retards who continue to support and vote in these obstreperous clowns.